OTTAWA — Canada's housing market rebound appears to be slowing amid diminishing increases in national home sales, says the Canadian Real Estate Association. The organization said on Monday that home sales saw their fourth consecutive increase in August, rising 0.9 per cent month-over-month to 39,366 from 39,028 and coming as roughly half of all local markets saw a month-over-month uptick. However, August home sales simultaneously experienced a 3.8 per cent non-seasonally-adjusted year-over-year drop. 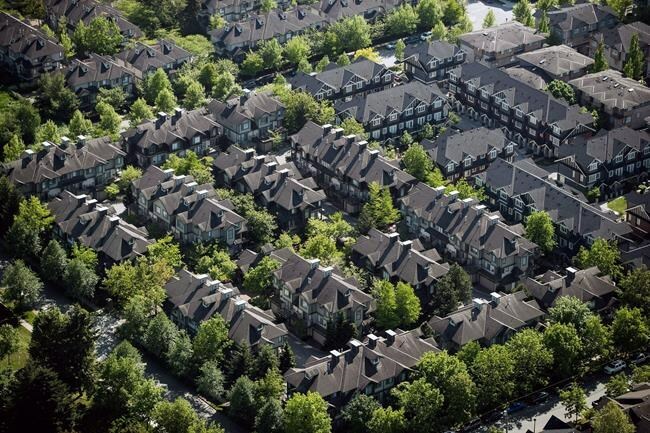 CREA attributed the drop to "major declines" in British Columbia real estate and stricter mortgage regulations that came into effect at the start of the year. Economists said the slowdown signals a shift away from the "wild swings" the real estate market saw in recent years as prices and demand for homes skyrocketed, often causing a frenzied pace for sales. TD Economics economist Rishi Sondhi said, "While one month of data hardly makes a trend, August's performance could be a sign that the worst is over for the province. Meanwhile, BMO Capital Markets chief economist Douglas Porter called the housing market "a bit of a yawner, neither drastically hot nor desperately cold" in his note to investors. "The outward calm masks some still-serious regional shifts beneath the placid surface," he said, noting that measures aimed at cooling the B.C. market have resulted in some of the biggest sales declines in the country. The Greater Vancouver Area saw a 36.7 per cent year-over-year non-seasonally-adjusted decrease in sales activity, while Fraser Valley and Victoria saw 39.5 per cent and 17.6 per cent drops respectively, according to CREA. The Greater Toronto Area was faring better and continuing to stabilize, Porter said. GTA home sales rose 7.6 per cent year-over-year to 6,839 in August from 6,357 the year before. The region also saw a 2.2 per cent increase in homes sold month-over-month. "Toronto is very close to having a 'normal' market at this point," said Porter. "Policymakers could not have asked for a better outcome, achieving the proverbial soft landing — at least so far." The conditions caused CREA to forecast that 462,900 homes will be sold in the country this year, a 9.8 per cent drop from last year's forecast of 513,280 homes. Looking ahead to 2019, CREA said it expects to see 472,700 homes change hands. CREA also noted that between July and August the number of newly-listed homes was unchanged, hovering around 69,000. It said the slight uptick in sales and the lack of new home listings pushed the Multiple Listing Service home price index up 2.5 per cent year-over-year.